Country Music star Carrie Underwood will hit the road in 2019 for her “Cry Pretty Tour 360”. Underwood will headline arenas in 55 North American cities. The tour starts in Greensboro, NC on May 1st 2019 and ends in Detroit, Michigan on October 31st, 2019. The stage configuration is “In The Round” which will offer fans more seating closer to the stage since she will be performing in the center of the floor at all venues. Tickets for the concerts will go on sale to the general public starting Aug. 17 at 10 a.m. local time, with each ticket including a download code for the album; click here for details. A limited number of exclusive VIP packages will go on sale on Aug. 13, which include meet & greets, autographed memorabilia and custom merchandise. Citi, the official presale credit card for the tour will offer cardmembers early access beginning on Aug. 13 at 12 p.m. until Aug. 16 at 10 p.m.; click here for details. 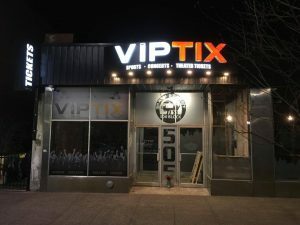 If you are unsuccessful buying the Carrie Underwood tickets you want at the box office there are other options and advantages to buying tickets utilizing the secondary market. Nick Giammusso the President & CEO of VIPTix has been in the ticket and entertainment industries for over 35 years! Nick saw a need and started VIPTix in 1993 to help fans buy and sell tickets. 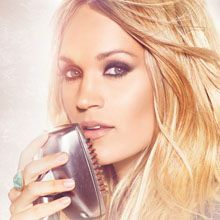 VIPTix.com can help fans buy and sell Carrie Underwood concert tickets. Check out the Carrie Underwood 2019 tour dates below.